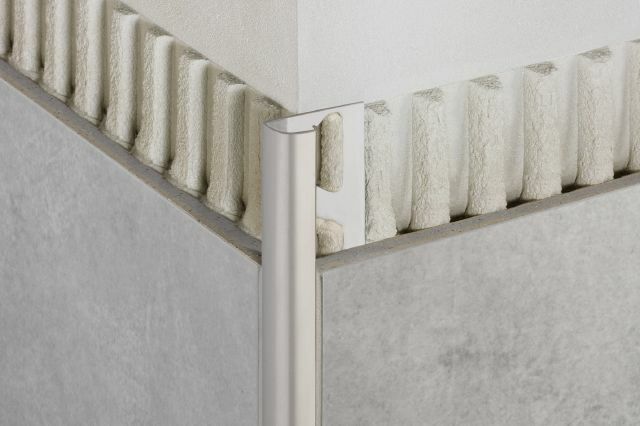 RONDEC bullnose profile with matching corners in stainless steel finishes the top edge of wall tile while the DILEX-EKE PVC corner movement joint profile, featured in classic grey, eliminates the need for caulking at inside wall corners. 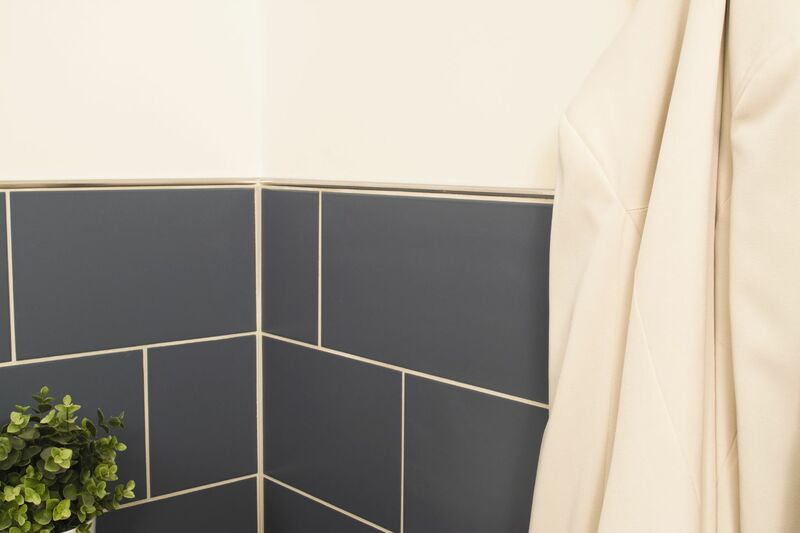 RONDEC bullnose profile with matching corners in stainless steel adds a modern touch to this classic blue tile, while preventing chipping. 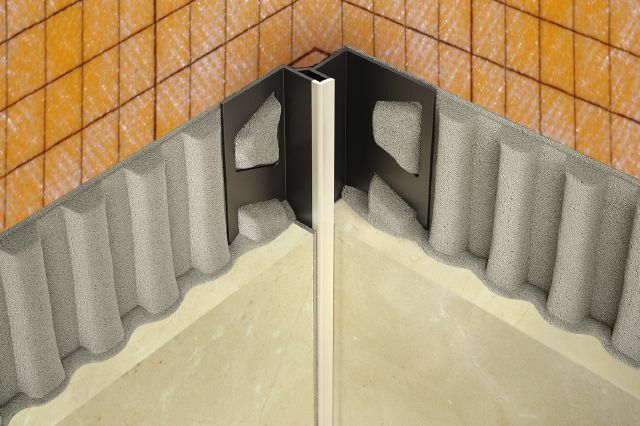 The DILEX-EKE PVC movement joint profile is featured in classic grey eliminates the need for caulking at inside wall corners. 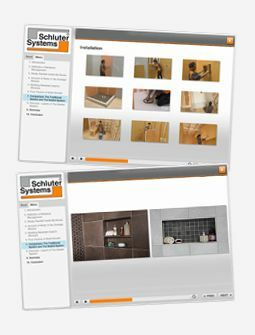 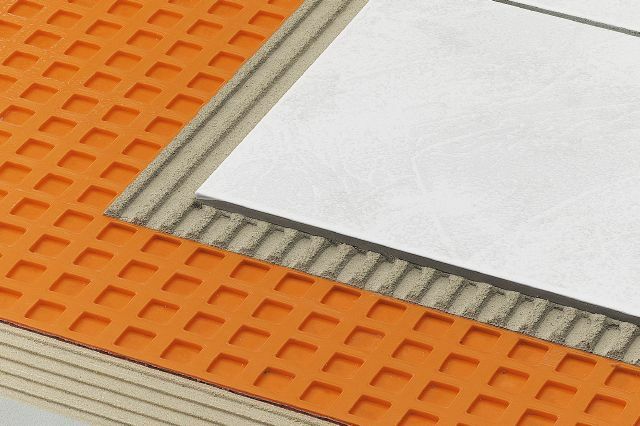 DITRA is used beneath the tile to protect the floor from cracked tiles and grout. 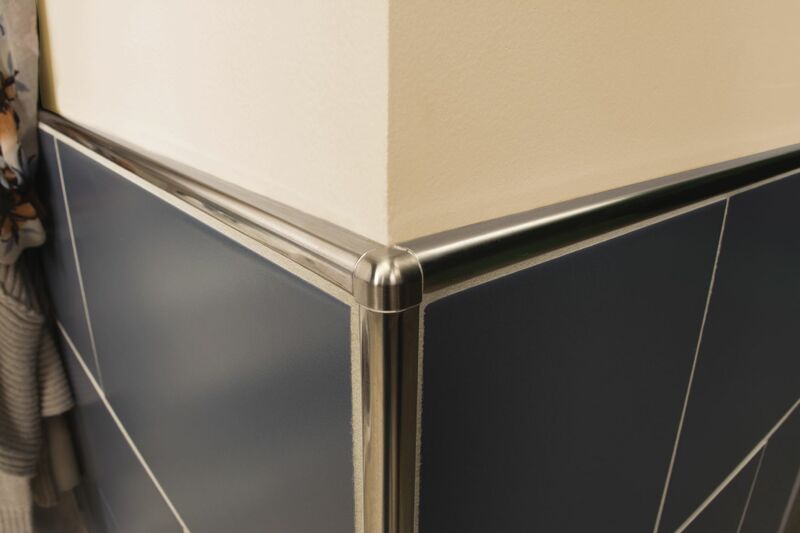 RONDEC bullnose profile with matching corners in stainless steel lends a rounded look to the outside corner and wall edge. 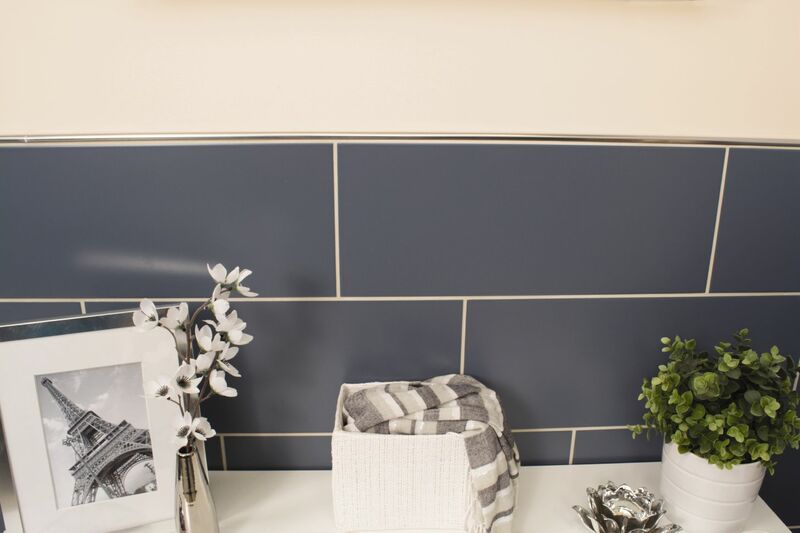 RONDEC bullnose profile in stainless steel completes the look of the tiled wall.